There are numerous examples of psychology experiments made famous by their ethically dubious methods; the 1960s in particular were somewhat of a golden age for super disturbing experiments. The principles of research ethics that we all know and love today largely came about as a result of these controversial antics. Despite there being some recent new legislation around data ethics (GDPR anyone? 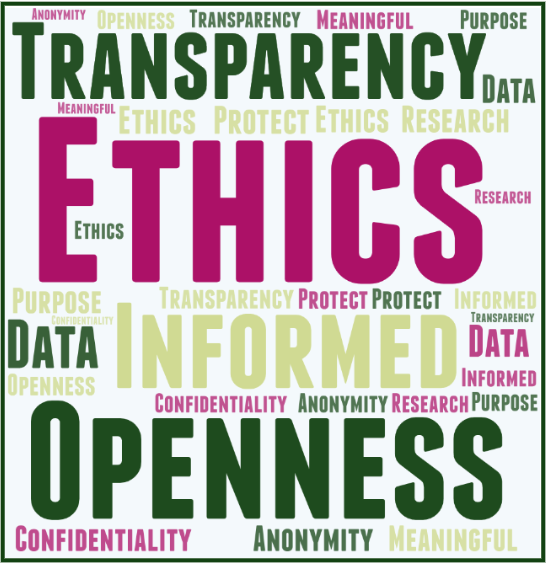 ), the core elements of ethics within data and research have essentially remained the same for the last few decades. This includes: protection from harm, fully informed participants, the right to privacy, and voluntary participation to name a few. These are pretty basic, but when gathering data or undertaking research we need to go one step further and ask ourselves: why are we gathering the data? What purpose will it serve and what impact will it have? To avoid gathering insight in a way that is potentially tokenistic, we need to be clear about the reasons behind why we are doing it. In addition, when dealing with our citizens’ data we also need to consider how we make best use of this to improve the services we deliver. One area we are keen to explore as a local authority is: how can we use data innovatively to turn it into actionable insight? Our Essex Innovates programme is testing this idea, tackling some of the county’s biggest challenges through smarter use of data from across different public sector organisations, to see what the future may hold for some of our most vulnerable residents. This has involved exploring challenges such as predicting children that are not school ready at age five, incidents of escalating domestic abuse, identifying gang activity, and understanding avoidable A&E admissions. To help us think about the ethical issues involved in sharing data between partners in Essex, we used the GOV.UK Data Ethics Framework. A key theme coming out of our self-assessment as part of this programme was that ethics should underpin everything we do. Within the safety of our research and analysis teams we have always believed that we are ‘doing social good’ with our work. All of our research and analysis ultimately has the citizen at heart – but perhaps we could further challenge ourselves to increase meaningful engagement, ensuring that engagement is never about ‘ticking a box’? We’ve all had experiences of filling in surveys and wondering what the point was or what ever happened with the results. The Essex Innovates work stream is therefore looking at a couple of things to incorporate this. An independent ethics committee is being set up so that research and analytical projects are reviewed by skilled professionals that sit outside the project teams. To date we have been very transparent with the work we have been doing in the ‘predictive analytics and data science’ space. We have sought opportunities to showcase our work, our methods, our framework and processes, and the difference we are making. In Basildon we have shared all of the insight generated with the community whose data we shared to predict school readiness, and consequently we formed the New Generations Community Group who are co-designing and commissioning services with us for their community. It has been hugely beneficial to discuss our work with peers across the public sector and academia. However, over the next year we will be thinking less about ‘showcasing’ work, and more about a two-way dialogue with our citizens. We’ll still be sharing our work regularly via this blog, so check back in to see how we’re getting on. At the next Analytics Partnership Board meeting (11th December) we’ll be taking our next wave of project proposals to sponsors, so will be able to share our plan with you before Christmas.